Get a brand new Android which has scores of third-party pre-installed apps? Get more and more apps and concerns of device lagging and battery killer? Get full internal memory and found out many apps running in background with frequent push notifications? No more envy of your friends’iphone now! 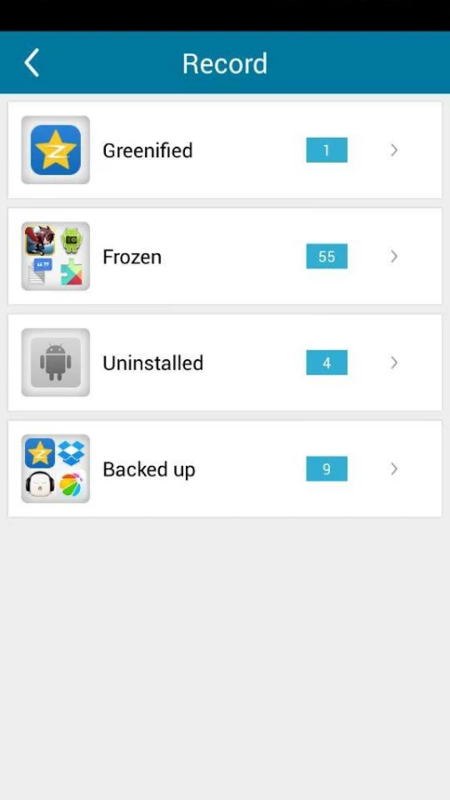 With UU, you can GREENIFY or easily UNINSTALL these unwanted apps and helps your phone to free up more spaces and extend battery life to make your phone run smooth like never before. UUcleaner is designed to manage apps that push notifications, run service in background, and are auto started as well as to fast uninstall/freeze/backup any apps just on one tap.UUcleaner seeks the best solution to avoid multiple background services, battery draining and data traffic consuming. Everything goes in a security-rich environment. NOTE: This app REQUIRES ROOT permission. Sorry for the inconvenience. 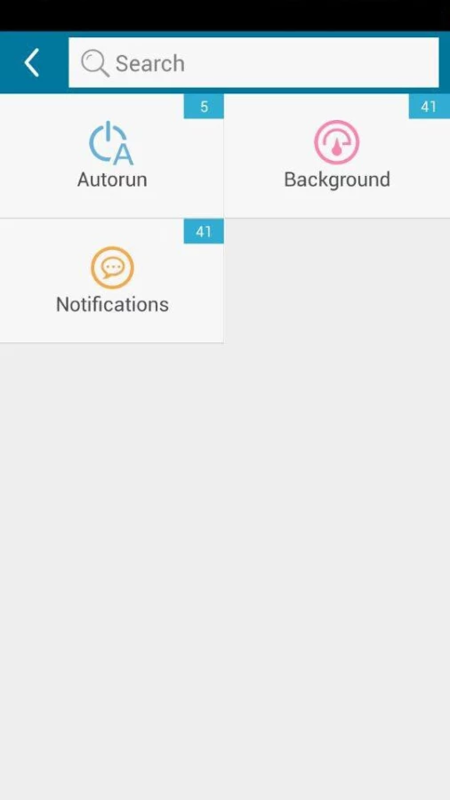 Auto disable apps which run service in background after exit. Disable both the autorun and autostart of apps. Turn off push notifications especially ads notifications. Uninstall unwanted apps, pre-installed apps and even core components. 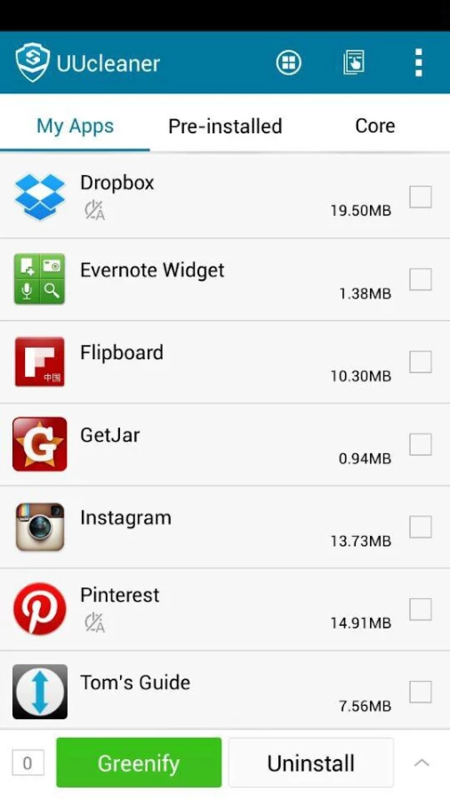 Backup apk files and apps data and restore them after uninstall. Go to Record to fast manage greenified, uninstalled, frozen or backed up apps. Avoid battery draining, memory leaking, data traffic consuming. Hibernate stealthily running apps in background until you manually start them. Save irritation of frequent wakeups. Apps listed under Pre-installed with authentic apps details can be reliably uninstalled or frozen. Apps data can be restored after uninstall. Good news for game enthusiasts! One single tap to silent uninstall or reinstall any apps. Support batch uninstall and no more pop-ups! Clean and lightweight application without any adverts and fees.